Persistent issues with financial regulation preceded and continue after the 2008 global financial crisis. Immediate reactions to restore liquidity and provide fiscal stimulus rescued Western economies. However, they did not address root causes of the crash. 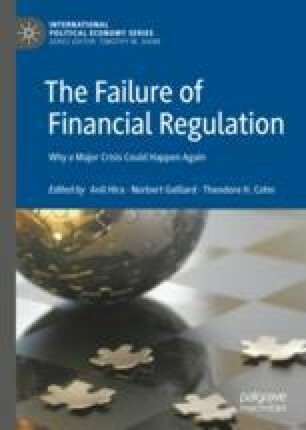 We demonstrate that issues such as regulatory capture and moral hazard were recognised in the US banking system as far back as the late nineteenth century, and that ensuing reforms were inadequate and sometimes reversed. Financial innovation and globalisation have led to evolving and complex capital markets, leaving regulation behind. Financial instability helps to foster anti-globalisation, populist, and protectionist movements. This chapter advocates that adequate financial reforms are needed to address persistent issues, restore liberal capitalism, and reduce nationalism.